AFM Hard Seal is a multi-use, clear gloss sealer especially formulated to provide mar resistance to both low and high porosity surfaces. 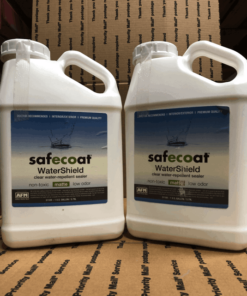 Because it forms a continuous membrane when applied properly it is particularly effective at sealing in any pollution or toxic chemical compounds outgassing from the surface to which it is applied. 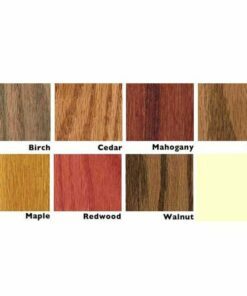 Typically used on previously uncoated and unsealed woodwork, cabinetry and vinyl tile. 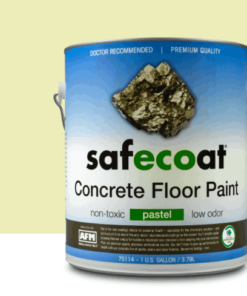 To prevent outgassing of previously coated surfaces, can also be applied over existing paints, stain and colorfast wallpaper. When applying to a previously coated surface test in inconspicuous places for satisfactory appearance. Hard, durable clear gloss appearance. 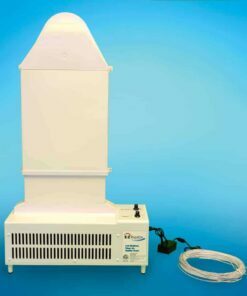 Powerful sealer to prevent outgassing of pollution and toxicity from underlying substrate. 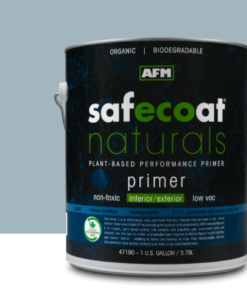 One gallon of AFM Hard Seal covers approximately 350 square feet in one coat depending on surface porosity. 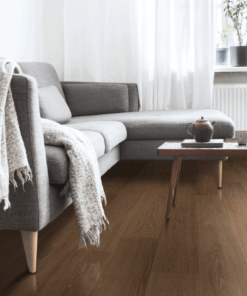 *Not for use on particle board, chipboard or OSB. Please see Safe Seal. 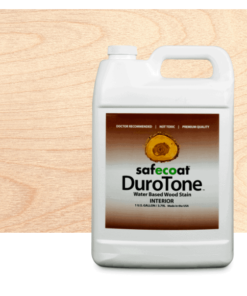 Typically used on previously uncoated and unsealed woodwork, cabinetry and vinyl tile. 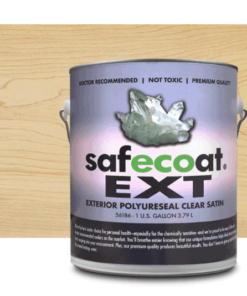 To prevent outgassing of previously coated surfaces, can also be applied over existing paints, stain and colorfast wallpaper. 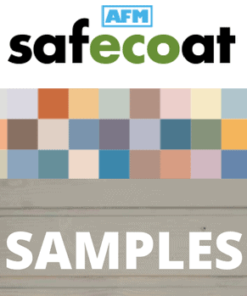 When applying to a previously coated surface test in inconspicuous places for satisfactory appearance. 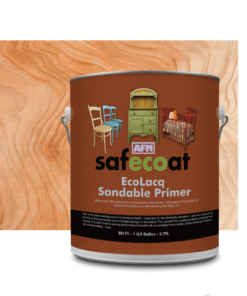 *Not for use on particle board or chipboard, please see Safe Seal. Always have adequate ventilation. 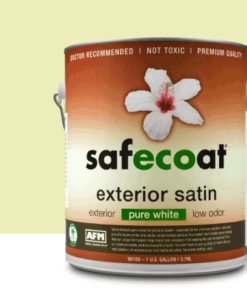 Before using, stir Safecoat Hard Seal by gently rolling container. Do not shake; shaking causes bubbles. Then apply as is using a sponge, squeegee or appropriate spray equipment. Use a painter’s mask when spraying. It is important to apply in very thin coats. Thick coats will overly darken the color of underlying surfaces. For best results, this product should not be reduced. 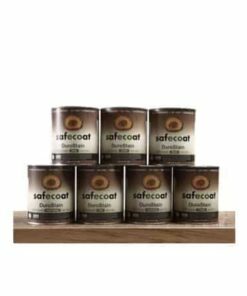 Under normal conditions, Safecoat Hard Seal dries to touch in one hour and is re-coatable after 2 hours. Normal conditions include a dry surface, access to fresh air flow, moderate humidity, and temperatures above 55°F. 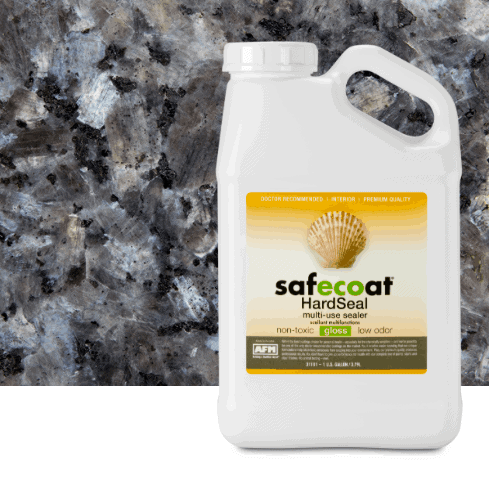 Thick application, high humidity or conditions other than normal will cause Safecoat Hard Seal to dry and cure more slowly.